Liverpool is a fantastic city with an abundance of things to see and do. Whether you’re simply visiting for the day or weekend, or are checking out property in Liverpool with the possibility of moving there one day, you’ll be amazed by the fascinating things that surround you.It’s well worth knowing what to see and do ahead of your trip to the great maritime city of the north, to really make the most of your time there. 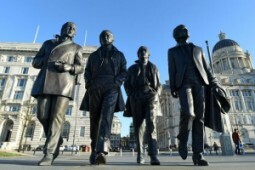 As such, we’ve offered up 6 things to do in Liverpool, that we think are not to be missed! Be sure to make time to see each of these amazing attractions that are part of what makes Liverpool such an incredible place.